Palestinian medical sources have reported, Wednesday, that an elderly woman was injured, south of the West Bank city of Bethlehem, after a speeding illegal Israeli colonialist setter rammed her with his car. 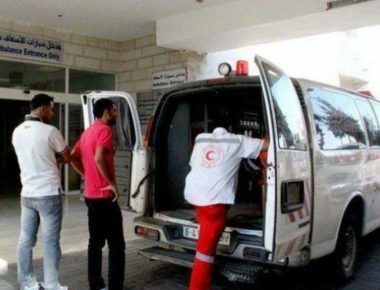 Mohammad Awad, the head of the Emergency Department of the Palestinian Red Crescent Society (PRCS) in Bethlehem, said the woman has been identified as Fatima Issa, 70, from Jouret ash-Sham’a village, south of Bethlehem. She was rammed by a speeding colonialist settler near the junction of Efrat illegal colony, built on Palestinian lands, south of Bethlehem. Awad added that the wounded elderly woman was rushed to al-Yamamah General Hospital, in Bethlehem, after suffering a dislocated shoulder, in addition to various cuts and bruises.